On 8 March 2018 in Santiago, Chile, the Comprehensive and Progressive Agreement for Trans-Pacific Partnership (CPTPP) was formally signed. The trade agreement was signed by 11 countries – Australia, Brunei, Canada, Chile, Japan, Malaysia, Mexico, New Zealand, Peru, Singapore, and Vietnam – making it the third largest free trade area in the world by gross domestic product (GDP) after the North American Free Trade Agreement (NAFTA) and European Single Market. The CPTPP came into effect on 30 December 2018. 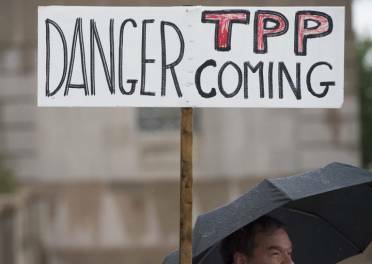 The CPTPP is actually the brainchild of former United States (US) President Barack Obama. Known then as the TPP, the trade agreement was Obama’s key policy in his strategic pivot to Asia. However, after becoming president, Donald Trump decided to pull the US out of this trade deal. Despite the US’ withdrawal from the deal, all the original signatories of the TPP decided to revive it, with some provisions from the initial deal removed. The CPTPP is said to be a trade deal which would lower or remove barriers of trade between the signatory countries. It is said that the deal would remove tariffs on 95 percent of goods traded between CPTPP countries. For Southeast Asian signatories, many argue the deal would provide them with new trade opportunities as it would give these countries improved access to foreign markets. Despite the fact that the CPTPP is supposed to bring greater prosperity to many developing nations, it faced strong resistance when it was first mooted – particularly from civil society members, activists and non-governmental organisations. The argument they make is that the CPTPP may only benefit some members of society while leaving others worse off. In essence, it will only enrich developed countries and multinational corporations instead of the developing countries involved in the agreement. One of the common arguments people make for the CPTPP is that it would improve exports for developing countries as they would have access to foreign markets. However, experts argue it cannot be assumed that higher exports alone would increase a county’s income, as only exports with a relatively high content of domestic value-added can. According to the Asian-Pacific Resource & Research Centre for Women (ARROW), it is the developed countries that will see the largest increase in domestic value-added exports instead. A look at the other free trade agreements such as NAFTA also reveals how free trade agreements could negatively impact less developed countries. Research shows that cheaper US imports reduced the price of higher quality products in Mexican cities but at the same time led to a significant increase in Mexican real income inequality due to differences in cost of living between rich and poor households. Ever since NAFTA went into effect, inequality in Mexico rose to levels at triple the Organisation for Economic Co-operation and Development (OECD) average, while about half of the population still remains in poverty. The CPTPP could also affect the labour standards in developing countries in the deal. Developing countries have long opposed efforts by the World Trade Organization (WTO) and trade agreements such as the CPTPP in linking trade and labour standards. This is because a standard of protection that is appropriate in rich countries can impose an excessive burden on poorer ones. The agreement says that all member countries are required to adopt and maintain the four principles of the International Labour Organisation (ILO) Declaration on Fundamental Principles and Rights at Work into their respective domestic laws. While such laws may be good, imposing such a standard and tying to trade could backfire. According to ARROW, the imposition of labour standards that are too high on a country that is not ready for them will push more workers out of the “formal” sector, which tries to abide by such labour standards, into the “informal” sector, which sits outside the reach of government regulation, effectively exacerbating rather than diminishing existing inequality. Also, previous free trade agreements have shown that attempts to impose labour standards have failed and have instead led to more labour rights violations. These are just some of the ways that the CPTPP could harm developing countries. There are other clauses in the CPTPP which some experts claim could undermine a nation’s sovereignty. Currently, while all members have signed the CPTPP, only seven out of the 11 nations have ratified the agreement in their respective countries. So far, Peru, Chile, Malaysia and Brunei have yet to ratify the agreement, nor should they be in any rush to do so.